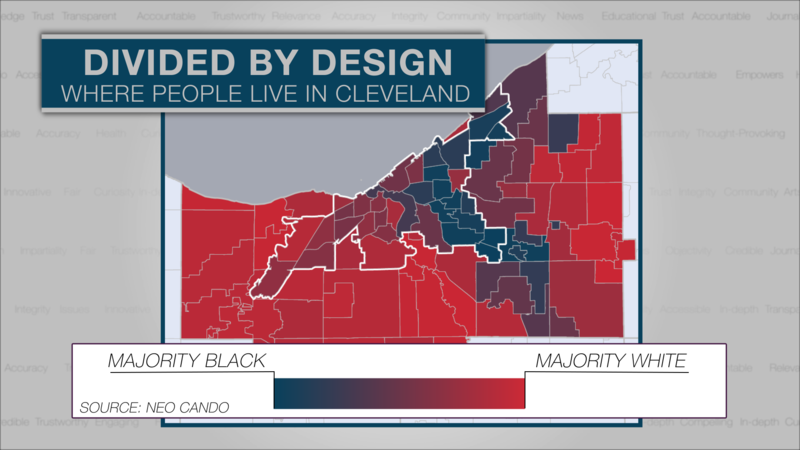 All this week, we've been looking at the history and impact of greater Cleveland's segregated neighborhoods in our Divided by Design series. This graphic shows the black/white divide visually, using the most recent multi-year Census data (accessed through NEO CANDO). Purple neighborhoods represent those with more diversity, while red neighborhoods are majority white and blue are majority African American. Find out more about the policies and events that shaped where people live in our region by visiting our interactive timeline.